Two headline stories dominate discussion of China’s energy trajectory right now. The first is that reports from three agencies all point to the continuing decline in use of coal in the first half of 2015, continuing a trajectory already notable in 2014. These are not declines in the rate of growth, but absolute declines in the amount of coal consumed in power generation as well as in energy-intensive industries like steel and cement production. This points to the possibility that coal consumption may be peaking much earlier than anticipated in official government statements – and so pointing to an early peaking of carbon emissions. If continued, this would be a ‘Great Reversal’ of China’s recent dominant role in consumption of dirty fossil fuels and production of greenhouse gases. The other side of this story is the determination to enforce pollution regulation. Not only did a new Environmental Protection Law take effect from 1 January 2015, but a new draft environmental tax law was recently aired for public consultation. Accompanying the development of formal laws are new accountability measures issued on 17 August 2015 by the Communist Party Central Committee that directly target the conduct of officials with respect to pollution and ecological damage.1 Such administrative measures are sometimes even more powerful in China than the law. In 2015, a former vice-minister for the Environment, Mr Zhang Lijun, has been caught up in the ongoing anti-corruption drive, becoming the highest-ranking environment official to be investigated. These are strong indications that the ‘Great Reversal’ is likely to be further supported by institutional developments. The decline in coal production and consumption cannot come soon enough in China. The Guardian ran a full photo-news story in June on China’s shocking levels of pollution from use of coal, focusing on the toll taken in the health of coal miners and their families. (See here) There is indeed a coal boom choking China – and it would spell ruin for the country in the absence of a determined campaign to reverse the worst effects. The jury is still out as to whether China’s dramatic shift in trajectory towards a greening of its energy system will be able to counter-balance the heavy reliance on coal with all its deleterious effects. The most important fact in the first half year results for 2015 is nevertheless the continuing decline in dependence on coal by China’s electric power system and energy-intensive industries like cement production. This continues a trend already apparent in 2014 (see our earlier article). Statistics from three agencies – the China National Coal Association, the China Electricity Council and the National Energy Administration – all bear this out.2 The China National Coal Association (CNCA) revealed that in the first half of 2015 (1H 2015) domestic coal sales fell by 8.1% compared with 1H in 2014 to 1.6 billion tonnes coal. Domestic production was also down by 5.8% on 1H 2014, to 1.79 billion tonnes. Imports of coal fell even more dramatically, down 37.7% from the level of 1H 2014, to just on 100 million tonnes. This of course is bad news for coal exporters like Indonesia and Australia. 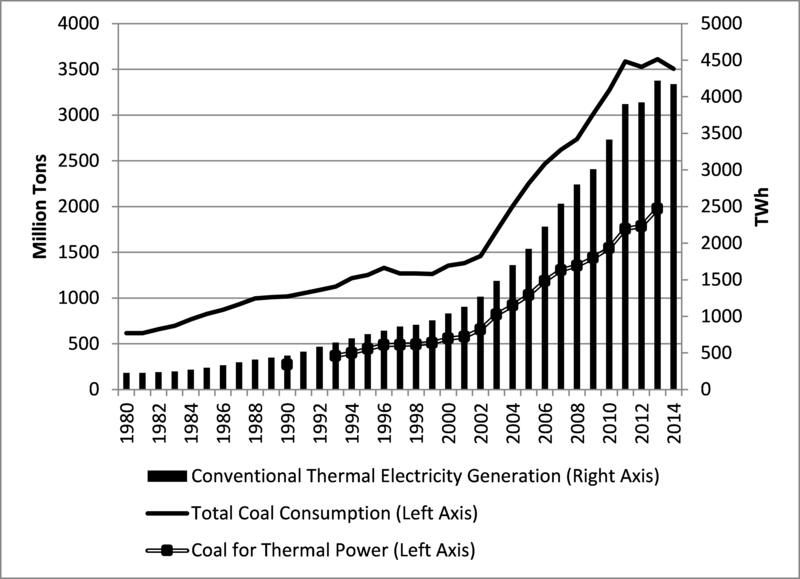 The curb in coal consumption is clearly evident in data on China’s energy trends since 2011, as shown in Fig. 1, taken from our new book on China’s Renewable Energy Revolution. The 2015 first half figures reinforce the trend already evident in the flattening of coal usage in leading heavy industries such as power generation. Consumption of coal in electric power production, cement and steel production all fell – by 6.4%, 8.8% and 2.3% respectively. This shows that tightened regulation of coal consumption in these energy-intensive industries is having a significant impact. 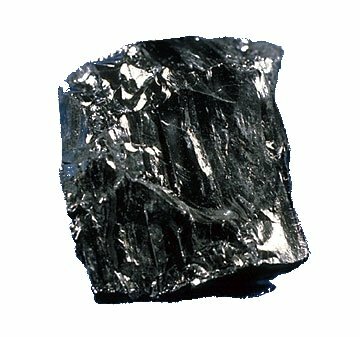 The CNCA also reported meaningful declines in investment in both the production and use of coal. Investment in coal mines has been falling since 2013, and was down by 12.8% in 1H 2015 compared with 1H 2014. Revenues for coal companies that are included in the official statistics also fell, declining 13.6% in the first five months of 2015, while profits plunged by 66.8%. The 90 largest coal mining companies that report their activities to the Association experienced a total loss of RMB 485 million in the first five months of 2015, compared with a profit of RMB 26.5 billion over the same period in 2014. The largest coal miner, the Shenhua group, saw revenues fall by 32% and profit plunge by 45.6% in the first half of 2015 compared with 1H 2014.5 This is the fourth consecutive half-year that Shenhua has seen its net profits fall (from RMB 25.1 billion in 1H 2012 to 24.4 billion in 1H 2013, 21.5 billion in 1H 2014 and just 11.7 billion in 1H 2015). The China Electricity Council released its results for 1H 2015 on July 21.6 The headline results are that China’s electricity consumption increased by just 1.3% on a year-to-year basis, much lower than China’s economic growth of around 7%. This means that China is decoupling its energy system from the wider economic system, allowing industrial growth to continue without a corresponding impact in terms of energy consumption. Half-year electric power generation reached 2700 TWh, with thermal power generation (mainly burning coal) reaching 2,087 TWh, down by 3.2% on the level for 1H 2014. Meanwhile green power generation increased markedly: hydro was up 13.3% to 423.4 TWh, wind generation was up 26.2% to 99 TWh, while solar PV was up 77% to 19 TWh.7 Nuclear generation was also up 34.4% to reach 77.2 TWh. Overall, thermal sources accounted for 77% of China’s electric power generation – a total which is declining each year – while non-thermal sources rose to 23%. 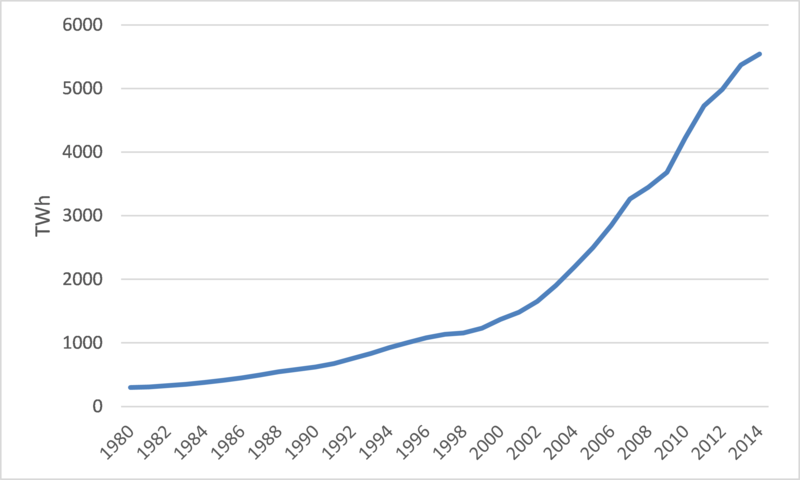 China’s electric energy generation trajectory over the past 35 years, revealing a strong upward spurt from 2001 when China joined the World Trade organization, is shown in Fig. 2a. 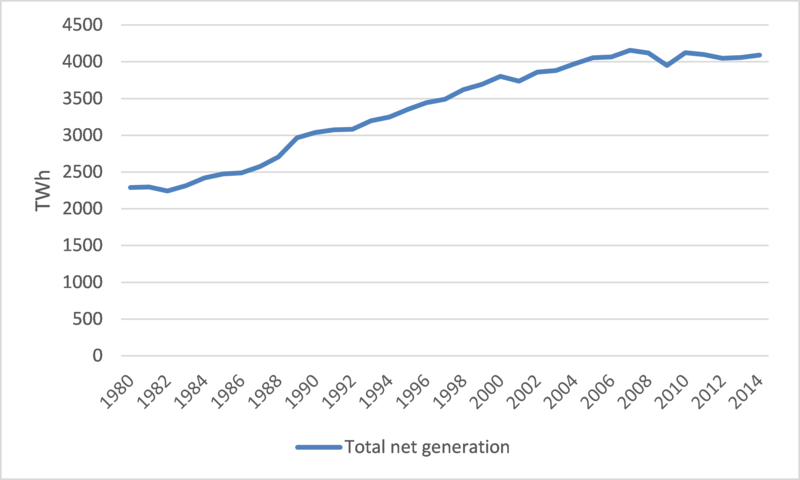 The data for 1H 2015 demonstrate a continuation of the trend already visible in which total energy, and total electric energy generation, are starting to flatten. The contrast with the US is shown in Fig. 2b. China’s electric generation system is now by far the largest in the world, approximately 37% larger than the US system. 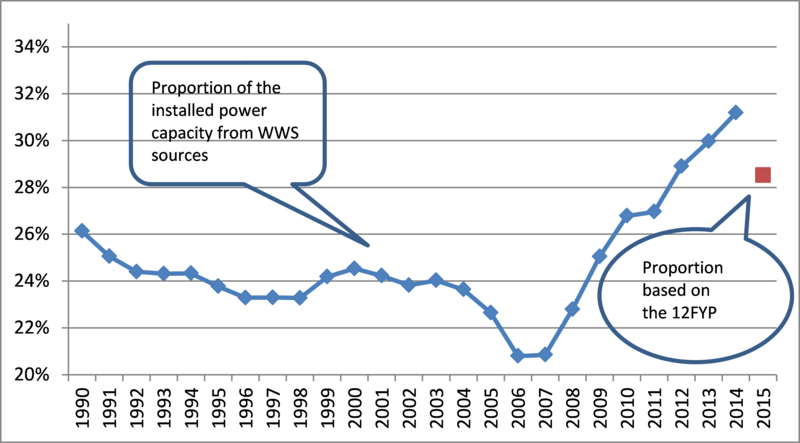 What China does in its power generation system has global significance. Total power capacity of the China electric power system rose 8.7% in 1H 2015 to reach 1360 GW 8, with 43.4 GW of new capacity added. Here the data are less favorable to renewables. Thermal sources added new capacity of 23.4 GW in 1H 2015 (whereas the level of generation actually fell), but new capacity of just 16.7 GW was added for hydro, wind and solar and 3.3 GW for nuclear. Thus non-thermal capacity of 20 GW was added in 1H 2015, or 47% of the total – down from the result in full-year 2014 when more capacity from renewables was added than for thermal. These are of course preliminary data – and are based on the capacities that are connected to the grid and are in use. The total added capacities were larger. For example, NEA data indicated that new capacity added in wind power and solar power in 1H 2015 reached 9.2 GW and 7.7 GW additional capacities respectively, but with increased curtailment (meaning generating capacity that is not feeding power to the grid) 9; this underlines the point that caution needs to be exercised in interpreting these data. Nevertheless, the rising dependence of China’s electric power generation system on renewable sources – water, wind and solar – is the most striking feature of its energy transformation. The 2015 results are a continuation of the trend shown in Fig. 3 up to the year 2014, showing that the target for 2015 has already exceeded. Source: Mathews and Tan (2015). Primary data: for wind and solar power capacity up to 2013 from BP 2014 Review of Statistics, data for total electric capacity and the hydroelectric capacity up to 2012 from the US EIA; other historical data from the China Electricity Council. The 2015 target is based on the Energy Development 12th Five Year Plan released by the State Council in 2013. Overall, according to the National Energy Administration, China’s primary energy consumption in 1H 2015 increased by just 0.7%, again much less than overall economic growth – further reinforcing the sense that China’s economic growth is decoupling from its energy consumption. While coal production declined, oil production increased by 2.1% and gas production (both conventional gas and coal seam gas) increased by 4.3%. Oil consumption increased 3.2% and gas consumption 1.4%. The NEA data also make a point of underscoring the decline in coal consumption overall, and notably in the critical industries including power generation, steel and cement. The global implications of China’s energy choices are evident in data recently published by the International Energy Agency (IEA) on global carbon intensity over recent decades. (Carbon intensity refers to carbon consumed per unit of energy produced, i.e. tonnes of carbon per unit energy.) The gradual fall for the previous century (reflecting improved energy efficiency and carbon efficiency in the advanced countries) was reversed or flatlined over the two decades from 1990 to 2010 – despite all the discussion of reducing carbon emissions and the UN’s Kyoto Protocol. The disturbing data are shown in Fig. 4, taken from the IEA’s Tracking Clean Energy Progress 2013report. 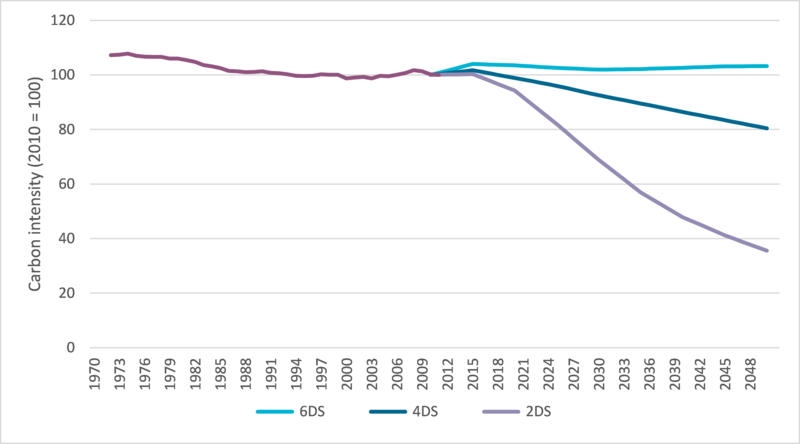 In the words of the IEA, this carbon intensity index “shows that the global aggregate impact of all changes in supply technologies since 1970 has been minimal” (IEA 2013: 8). However, the new Law is not without flaws. As Zhang & Cao (2015)12 discuss, the deficiencies include a lower status of the Law compared with other legislation, the fragmented and sometimes vague governance involving the law enforcement, a still limited scope to empower individual citizens and NGOs in taking action on environmental protection, and the lack of capacity exercised by the environmental protection agency. Another important development is the release of a draft environmental tax law that specifies the levies on pollutants permissible in water, air, solid waste and noise (Table 1). The draft law sent a strong message that energy consumption and pollution would be associated with much heavier financial costs, and would have a significant impact on energy intensive and highly polluting industries such as steel, non-ferrous metals, cement, and chemicals. Finally, it seems that administrative and disciplinary measures are also being enforced. Insofar as China’s coal boom was fuelled in part by graft and corruption, it appears that this too is now being curbed. The recent disciplinary measures issued by the Communist Party’s Central Committee and the General Office of the State Council placed greater accountability on all party and government officials above the county level for the environmental performance in their areas or departments (in addition to economic performance). China’s anti-corruption watchdog, the Central Commission for Discipline Inspection (CCDI) also announced on July 30 that the retired vice-minister of the Ministry of Environmental Protection (MEP), Zhang Lijun, was under investigation. (See here) Zhang retired from the MEP two years ago – but under the new rules for anti-corruption investigations, officials are to be held accountable for their past actions. He is accused of taking advantage of his position to influence policy decisions in favor of persons or firms looking for special favors. As part of the attempt to enforce rules for environmental protection that are already on the books, in May this year the State Council issued its Opinions on Further promoting the Development of Ecological Civilization (the equivalent of a White paper in the British parliamentary system) which called for officials to be held to account for damage to the environment that occurs during their term of office, and into their retirement. The investigation of Zhang Lijun suggests the possibility that a more stringent approach is now in operation. If so, this is good news for China and for the planet. The anti-corruption probe at the Ministry of Environmental Protection has already spread, and three more officials are being held for questioning. According to a report by Prism, the financial news portal of the Tencent internet company, three senior ministerial officials who reported to Zhang have also been detained by the authorities. The emphasis in this broadening investigation is focused on the charges that some officials had profited by running risk-assessment agencies, or that their relatives had intervened to influence the outcome of reviews in favor of companies in which they held interests. Citing numerous environmental protection officials, the Prism report said Zhang was accused of abusing power for personal gain involving a large sum of money that he gave to his subordinates and family members. The ability of the Chinese state to curb emissions in the end will rest heavily on its ability to enforce tougher environmentall laws and crack down effectively on violators and profiteers. Recommended citation: John Mathews and Hao Tan, “The Greening of China’s Black Electric Power System? Insights from 2014 Data”, The Asia-Pacific Journal, Vol. 13, Issue 34, No. 1, August 24, 2015. John A. Mathews is professor of strategy at Macquarie Graduate School of Management, Macquarie University, Sydney. He has taught at MGSM for the past 15 years, and was from 2009 to 2012 concurrently the Eni Chair of Competitive Dynamics and Global Strategy at LUISS Gardi Carli University in Rome. He has specialized in the catch-up strategies of firms and countries in East Asia. For the past several years he has focused on the greening of business systems. He has published several books based on this research, including Tiger Technology: The Creation of a Semiconductor Industry in East Asia (Cambridge UP 2000; co-authored with Cho, Dong-Sung); Dragon Multinational: A New Model of Global Growth (Oxford UP, 2002); and Strategizing, Disequilibrium and Profit (Stanford University Press 2006) which discusses the theoretical foundations of catch-up strategies. In 2014 his new book, Greening of Capitalism: How Asia is Driving the Next Great Transformation, was published by Stanford University Press. His article “Manufacture renewables to build energy security” was published in Nature in September 2014. Hao Tan is senior lecturer at Newcastle Business School, University of Newcastle, Australia. He currently serves as an acting Head of the International Business Discipline and a Program Convenor of Master of International Business. He is an associate of the Centre of Asian Business & Economics at University of Melbourne, and was a visiting professor at National Tsinghua University in Taiwan in 2014. Hao Tan’s current research interest is in China’s energy transition. Since 2009, he has published over 20 scholarly journal articles and book chapters, including a commentary article in the leading science journal ‘Nature’ (co-authored with John Mathews). With John A. Mathews he is the author of China’s Renewable Energy Revolution published by Palgrave in 2015. He is a frequent contributor to both English- and Chinese-language media channels such as UK Financial Times’ Chinese website, China’s Caixin and Australia’s theconversation.com, on energy and environment-related issues in China. • John A. Mathews and Hao Tan, China’s renewable energy revolution: what is driving it? 1 See news report for the measures. 10 See the discussion of these issues in the recent paper from Van Aken and Lewis (2015): Van Aken, T. and Lewis, O.A. 2015. The political economy of non-compliance in China: The case of industrial energy policy, Contemporary China, 24 (95): 798-822. 12 Zhang, B. & Cao, C. 2015. Four gaps in China’s new environmental law. Nature, 517: 433-434.